Dave Stein, Founder of ES Research Group which provides intelligence on sales training programs (3g Selling was recently selected by ESR for its impact in sales performance) recently conducted a podcast with 3g Selling Founder, Martyn Lewis. Lewis talks about how virtual sales training can improve sales performance in ways that would be impossible in the physical classroom. To begin with, Stein points out that research by the marketing team at ES Research found that in 2011 Google searches for virtual sales training far outnumber searches for sales training. Virtual sales training has several advantages over the physical classroom, adds Lewis, including mobility and lower costs due to elimination of travel and lost work time. In fact, he developed 3g Selling in response to client demand for sales training that reduced costs, time away from the office, and increased training effectiveness. At 3g Selling, virtual training programs have re-engineered the training process rather than replicate the physical classroom. 3g Selling’s programs incorporate techniques developed by broadcast media to engage the participants directly in discussion with the host and sales expert, and also with each other. Lewis says that by incorporating the techniques of broadcast media – dialog, mobility, the ability to insert pre-recorded video, animation, expert opinion, and tools for participant interaction – 3g Selling was able to design a highly dynamic training environment. Subject matter is broken up into short, 75-minute segments, and at the end of each session, participants are given an assignment, which they work on immediately in collaboration with their peers. As part of their integrated learning, participants receive feedback and peer-to-peer coaching on their assignments at the beginning of each new session. When Stein asks Lewis if live virtual training will replace actual face-to-face meetings of sales people, Lewis says that these approaches are complementary. “Live virtual training will provide the backbone,” he adds. For example, live virtual training can be used to prepare sales people for an annual sales meeting or training event, and it can also be applied as a follow-up to that physical meeting. In the final part of the podcast, Lewis talks about how “today the Internet is the brochure.” Power has shifted from the sales person to the buyer, who can now find information on the Internet and no longer has to ask the seller. 3g Selling’s response to this shift in power is “Third Generation Selling,” which shifts the focus from selling to aligning selling to how the customer is buying. When Stein asks Lewis what a buyer of sales training should look for in a training program, Lewis stresses the importance of an engaging delivery. As 3g Selling unique approach to live, virtual demonstrates, there are many ways to engage in the virtual environment, and to integrate virtual training with the application of learning and the collaboration the physical classroom can provide. Listen to Martyn Lewis, 3g Selling’s Founder, discuss virtual sales training with Dave Stein of ES Research Group. We’ve made a recording of that webinar available here, together with other webinar resources. Thanks to the hundreds of learning and development leaders who registered for and attended the webinar. What an exciting dialogue we started about the future of live virtual training! Over the years, first as a sales trainer for a Fortune 500 computer hardware company, then as the founder of two sales training companies, I’ve learned how important it is to integrate the best technologies for learning and development (L&D) with the best practices in training. I have also seen the danger when the emphasis on technology trumps the basics of good delivery impeding training ROI. 1. Make it interactive. Involve your participants at every step so they can interact with the training team and with one another. Be sure to leverage the technology available but only if it will enrich the learning experience and not distract from it. Technology choices include everything from a web-based collaboration platform with chat and teleconference, recorded video, breakout rooms, survey and polling capabilities to sophisticated telepresence technology. 2. Use presenter dialogue, not monologue. Have multiple people guide the instruction. 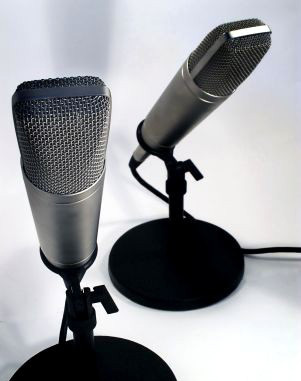 For example, 3g Selling’s live sessions are led by a trio: a host, a subject expert, and a web producer. This format stimulates greater participation than a one-person “lecture.” In addition, multiple people can provide different perspectives, argue, share an insight or joke, and provide a richer, more inviting virtual learning environment for the participants. 3. Make a collaborative connection. Connectivity to real-life application of knowledge and with the other participants is crucial. Each virtual learning session should be concluded by providing a clear and meaningful assignment that allows participants to apply what they have learned. Begin each session by reviewing how participants applied what they learned from the prior session. This not only connects participants to the training material itself but also connects everyone to each other’s ideas. 4. Don’t rely on PowerPoint to teach. Engaging with others in two-way, extemporaneous communication enriches the virtual learning process. Although beautiful pictures, charts and video can reinforce training points, knowledge lasts longest when there is interaction between the facilitation team and peers. 5. Keep it short. Maximize time for participant questions and interaction. Our society seems to suffer from attention disorders! So any session lasting longer than 75 minutes – which is a little less than most feature films today – means you’re going to start losing traction with your participants. 6. Pace, repeat, summarize. This may seem obvious, but surprisingly these basic L&D techniques are often overlooked. When delivering live training online, it is crucial to pace the lesson, repeat important points and main ideas by having participants share what they are learning, and summarize each section before moving on. Utilize the tools in the virtual learning environment to help ensure you don’t lose your participants or that they don’t lose you! Immediately on the heels of our news last week about 3g Selling being evaluated by ES Research, we were notified by Training Industry that we made Training Industry’s 2011 Sales Training Companies Watch List. 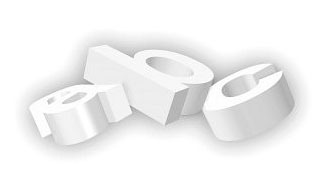 This is big news for us and anticipates some exciting new developments for the company in 2011 and beyond. Check out the watch list here. As part of our commitment to continuously monitor the training marketplace for the best providers and services we announce the first annual Sales Training Companies Watch List. 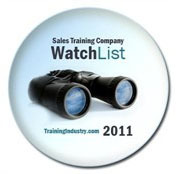 The 2011 Sales Training Companies Watch List is intended to help buyers of training services evaluate sales training providers. We’re very pleased to announce a new webinar from 3g Selling titled “Breaking Down the Walls of the Physical Classroom: A Vision for Continuous Learning in a Technology Enabled World.” It will be broadcast on Thursday, March 17, 2011 from 10:00-11:00 a.m. PT. This webinar is a must-attend event for L&D leaders and training decision-makers looking to optimize and increase the impact of their overall training mix. We look forward to having you at the event. As workforces have become more geographically dispersed, more mobile and more reliant upon multi-threaded, continuous learning approaches, live virtual training is beginning to take center stage in the organizational training strategy. Simultaneously—and for precisely the same reasons—the effectiveness and relevance of physical classroom training has diminished greatly. In this exclusive webinar, Martyn Lewis, Principal at 3g Selling, will explore key societal and learning trends that have fundamentally changed the way training experiences must be designed and delivered. Focusing on learner engagement and motivation, the webinar will provide a pragmatic perspective on today’s numerous learning modalities and which work best for different learners in different contexts. We’ll then look at how—with live virtual as the centerpiece of the organizational training strategy—these modalities can fit together to create an effective and continuous learning environment. If you don’t already know ES Research, you should. Described matter-of-factly on their website as the sales training industry’s “only comprehensive, multi-provider database of sales training course and program descriptions entered by the providers,” the firm’s reputation as a premier independent analyst for the sales training industry is known far and wide. With significant experience in training large sales forces with complex selling processes, 3g Selling can be an ideal fit for global, multi-faceted corporate enterprises. 3g Selling clients have included brand names in computing, communications, publishing, and education, with large (thousands of staff) sales forces spread globally. If your organization would benefit from a combination of on-line training presentation techniques, instructional design, and measurements that respond to your unique requirements, 3g Selling is worth serious consideration. For a copy of the ES Research evaluation of 3g Selling, get in touch with us at info@3gSelling.com.